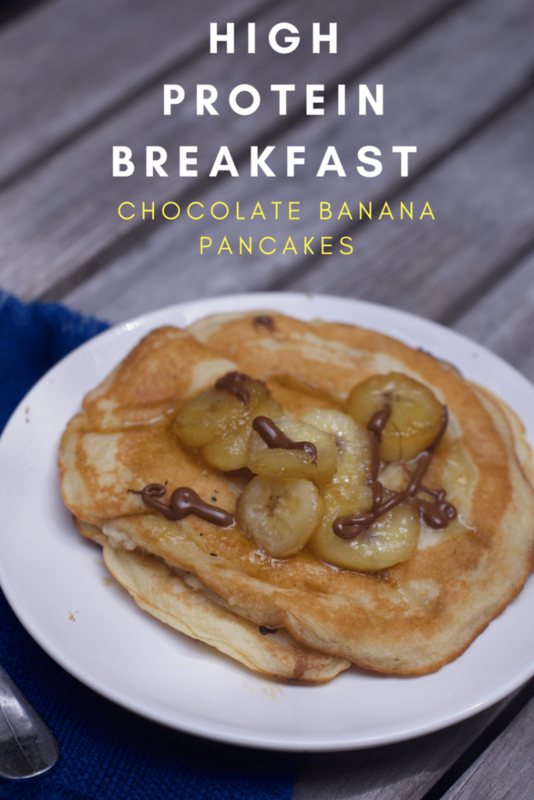 I have partnered with Krusteaz to bring you High Protein Breakfast Recipes: Chocolate Banana Pancakes recipe and a reader giveaway. All opinions are my own. Not only does September mark the beginning of school for most people but is is also National Breakfast Month. 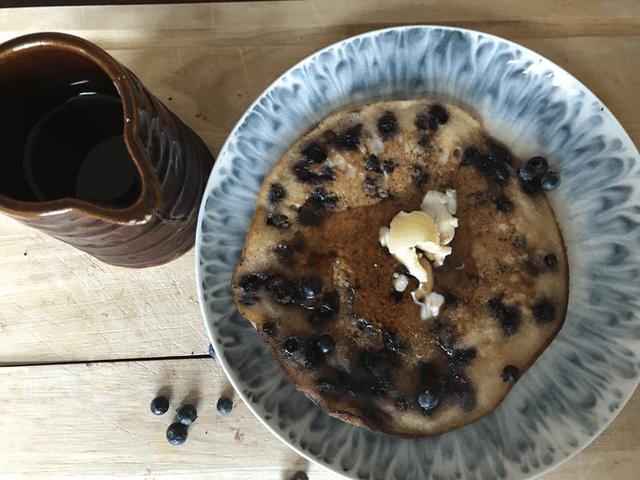 Breakfast is a staple in homes across the country and while it can range from toast to eggs to yogurt, pancakes are an all-time family favorite. My kids love waffles and pancakes but I worry they will be hungry when they get to school. No longer with these high protein breakfast ideas that are super simple to make. How do you make pancakes and waffles higher in protein? 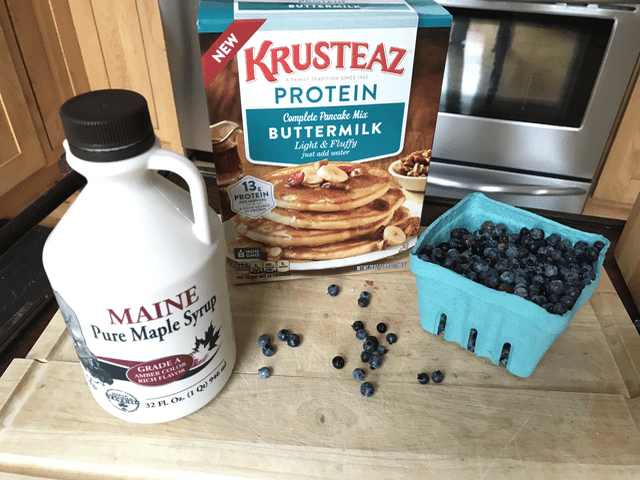 Thanks to Krusteaz, makers of premium pancake and waffle mixes, they created a Buttermilk Protein Pancake mix that will be available this fall. With 13g of added protein, it’s the perfect way to keep your family full and energized all day long. 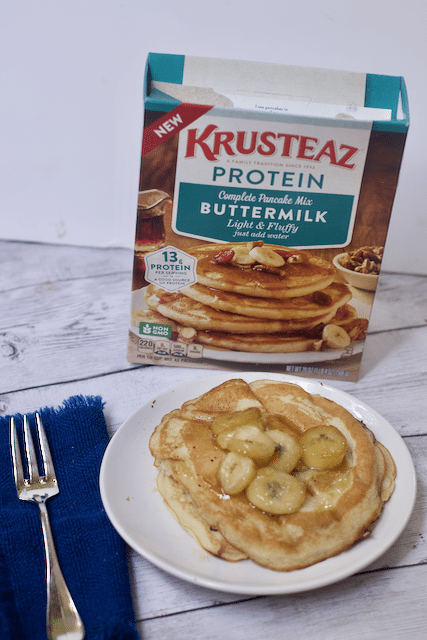 In keeping with Krusteaz’s commitment to simplified and wholesome ingredients, the new protein pancake is free of partially hydrogenated oils, high fructose corn syrup, artificial colors, flavors and preservatives. 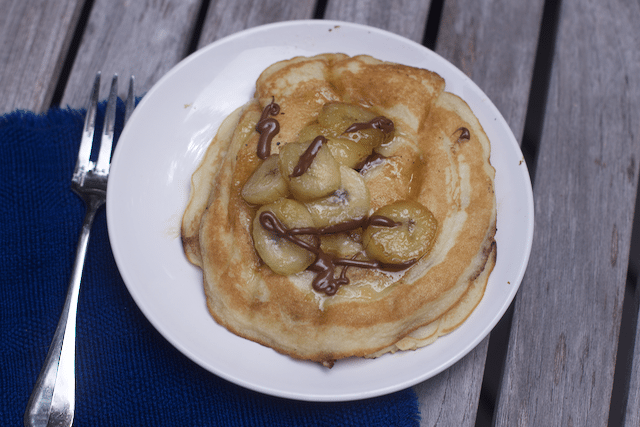 These Chocolate Banana Pancakes are a little decadent for a school morning but maybe splurge on a slower moving weekend. 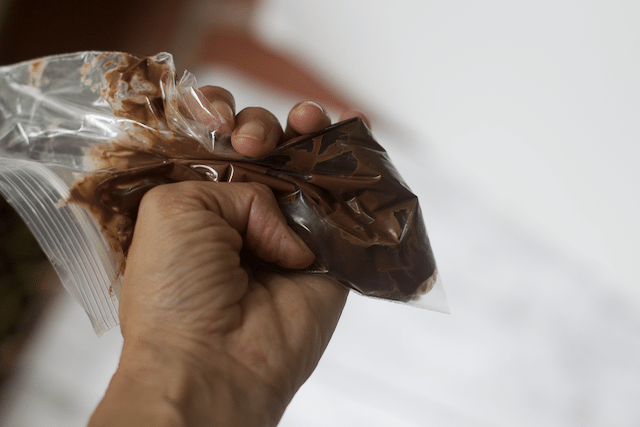 Fill a sandwich bag with a chocolate nut spread or peanut butter if you prefer. 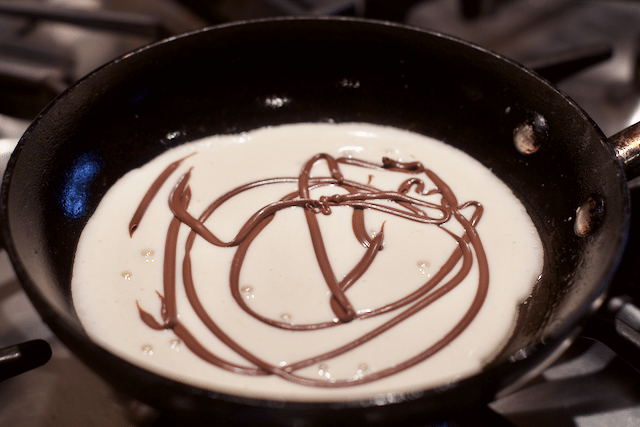 Pour your batter into your pan and then drizzle the chocolate spread right into the batter. 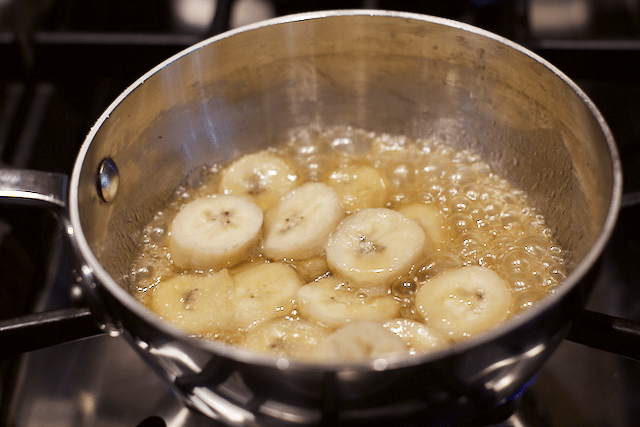 Meanwhile saute some sliced bananas, butter and maple syrup in a pan until slightly golden. 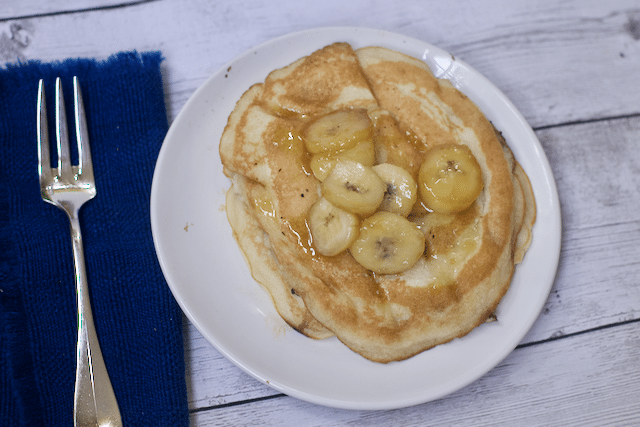 Top your pancakes with the finished banana mixture. 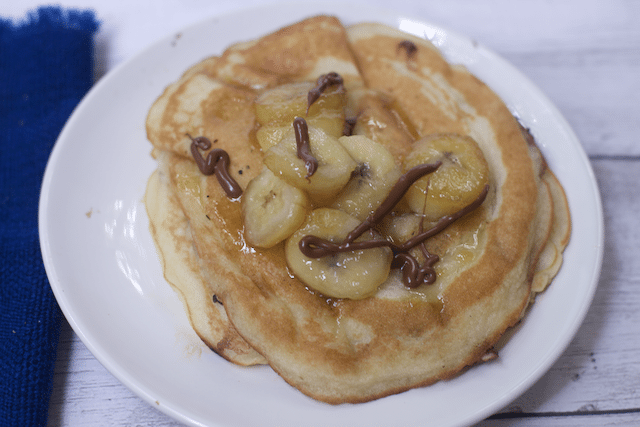 If that is not enough goodness for you, drizzle so more chocolate spread on top of the bananas so there is no question what flavors you are serving your kids. Not a big fan of bananas and chocolate, go the traditional blueberry route. We used some amazing Maine blueberries on vacation. We love hard boiled eggs and peanut butter toast for breakfast! We always try to have hard-boiled eggs on hand for really hectic days. We like to serve eggs. We like our eggs & oatmeal! We eat eggs and bacon for breakfast protein. eggs or pancakes with peanut butter on them, sometimes a high protein smoothie. I like scrambled eggs and bacon. My son and I like a sausage and egg casserole. The kids love my cheesy eggs which is just scrambled eggs with cheese! They like scrambled eggs and sausage. I usually give them eggs and some form of cheese. Adding eggs or sausage to their breakfast will increase the protein content, so that is what we generally do. I like to make pancakes or muffins.